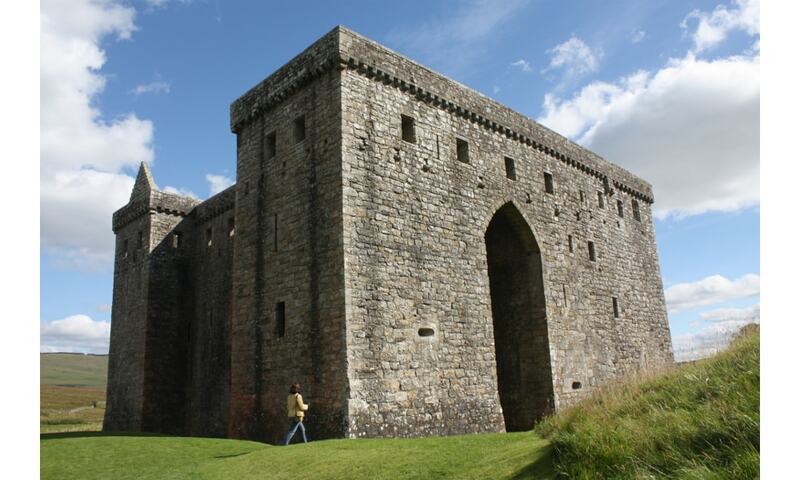 Hermitage Castle is a semi-ruined castle in the border region of Scotland. It is under the care of Historic Scotland. The castle has a reputation, both from its history and its appearance, as one of the most sinister and atmospheric in Scotland; it is said to be haunted by Mary, Queen of Scots.